Which Golf Course Has Hosted the Most U.S. Opens? The U.S. Open golf tournament is played on a different golf course each year, but some courses are regulars in the rotation: They are places the USGA visits often. That means there are multiple golf courses where the U.S.Open has been played multiple times. And the golf course where the most U.S. Opens have taken place is Oakmont Country Club in Oakmont, Pennsylvania. Oakmont played host to the U.S. Open in 1927, 1935, 1953, 1962, 1973, 1983, 1994, 2007, and most recently in 2016. 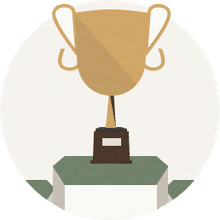 Its roster of champions, in chronological order, is Tommy Armour, Sam Parks, Ben Hogan, Jack Nicklaus, Johnny Miller, Larry Nelson, Ernie Els, Angel Cabrera and Dustin Johnson. Oakmont Country Club in Pennsylvania has been the site of more U.S. Open golf tournaments than any other golf course. Baltusrol, Southern Hills, Winged Foot, Pebble Beach, Olympic Club and Merion are other golf clubs where the tournament has frequently been played. And Oakmont is already scheduled for its next hosting job: It will be the site of the 2025 U.S. Open. 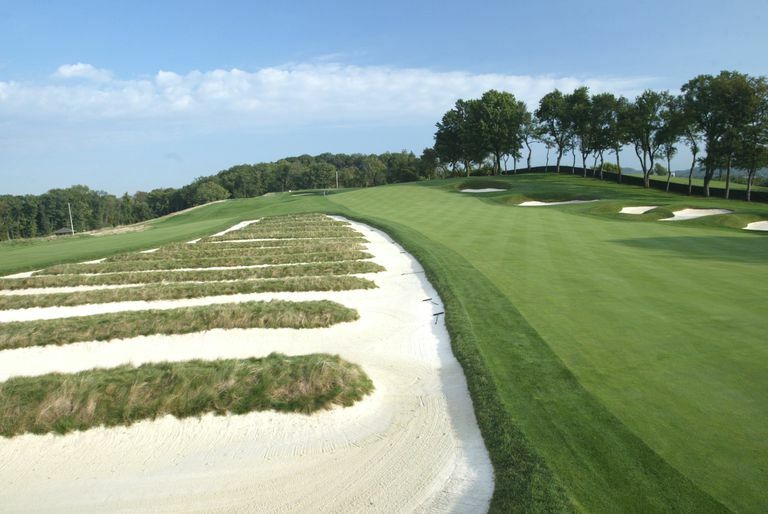 At that point, Oakmont will become the first golf course to host 10 times. The venue that has been the site of the next-highest number of U.S. Open tournaments is Baltusrol Golf Club in Springfield, New Jersey. Seven Opens have been played at that club, although not all on the same golf course: Five of Baltusrol's Opens were played on its Lower Course, and two earlier times the U.S. Open was played at the club's Old Course, which no longer exists. The first time the Oakmont Country Club played host to the U.S. Open Championship was in 1927 when Tommy Armour took home the title; after that, the Open didn't return to Pennsylvania until the 1935 U.S. Open, which Sam Parks Jr., a local of the area, won. The 1953 Open saw Ben Hogan take home the trophy, while 1962 gave the prize to the Golden Bear Jack Nicklaus emerge into the field from the amateur league, beating out rival and top-ranking golfer Arnold Palmer to earn his first professional championship win. In 1973, Johnny Miller played one of the most famous rounds of golf ever in the final round. He came from six strokes off the lead to the victory by shooting a 63, the first 63 — and for more than four decades the only 63 — in U.S. Open history. Larry Nelson took home the prize at Oakmont 10 years later in 1983, but it wasn't nearly as memorable. The 1994 U.S. Open Championship saw the rise of another golf great when Ernie Els broke onto the scene with his first major championship win. Els won that Open in an 18-hole playoff over Loren Roberts. In the 2007 U.S. Open, Oakmont bared it teeth and prevented any golfers from sniffing a final score below par. Angel Cabrera took home the championship title with a 5-over score. But in 2016, Dustin Johnson tamed the course a bit, finishing at 4-under for the win. The list of venues most-visited by the U.S. Open, in addition to Oakmont and Baltustrol, includes Oakland Hills Country Club in Bloomfield Township, Mich. That club's South Course has been used as the tournament site six times (1924, 1937, 1951, 1961, 1985, and 1996). Venues where the U.S. Open has been played fives times include Winged Foot Golf Club, Pebble Beach Golf Links, Olympic Club and Merion Golf Club. Check out the full list of U.S. Open golf courses — every year and every course.